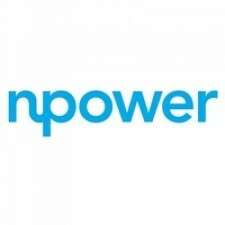 NEW YORK, November 15, 2018	(Newswire.com) - The nonprofit tech skills training program NPower raised a record $2.2 million at their annual fundraising gala that was held on Oct. 24 in New York City, exceeding the initial goal of $2 million. NPower honored Chairman and CEO of IBM Ginni Rometty and Head of Operations and Technology for Citi Don Callahan for their dedication to promoting diversity in technology and advocating for women, minorities and military veterans. Over 700 guests, including some of the biggest leaders in tech, came together to raise awareness and help fund innovative training programs to help women, minorities and military veterans advance their tech careers. We want to thank our partners for their dedication and continued support in helping NPower educate and train young adults, women and military veterans who are frequently overlooked. These programs also benefit businesses in our community, bringing new talent to start-ups and established businesses in need of tech talent. The CEO of NPower, Bertina Ceccarelli, said money raised from this year’s gala will fund free IT training programs in New York, New Jersey, Maryland, Texas, California and Missouri. Two NPower alumni graduates also shared their personal stories at the gala, explaining how NPower gave them the tools needed to change the trajectory of their life. Those who wish to also show support financially can make a donation by clicking here. NBC News anchor Sheinelle Jones moderated the event and a fireside chat with Rometty and Callahan discussing the changing landscape of technology. Both Rometty and Callahan gave advice to NPower alumnus on how they can advance their new careers. Citi and Dell Technologies were two of the biggest sponsors of the gala. Since 2011, Citi has hosted more than 230 interns with hands-on training and hired more than 50 NPower alumni in New York, New Jersey and Texas. IBM announced a partnership to help advance the tech curriculum in cities with large veteran populations. IBM has placed a special emphasis on hiring nontraditional workers who often offer the right skills but lack a formal college degree. Other gala sponsors included Accenture, CA Technologies, Cisco, HMG Strategy, Hewlett Packard Enterprise, IBM, JPMorgan Chase, NetApp, SHI International Corp., Splunk and World Wide Technology. The NPower Gala is co-chaired by David Reilly, chief information officer, global banking and markets, at Bank of America, and Matt Horner, senior vice president, global enterprise sales, at World Wide Technology. The National Board Development committee is led by Christopher Perry, president, global sales, marketing and solutions, at Broadridge Financial Solutions. NPower creates pathways to economic prosperity by launching digital careers for military veterans and young adults from underserved communities.